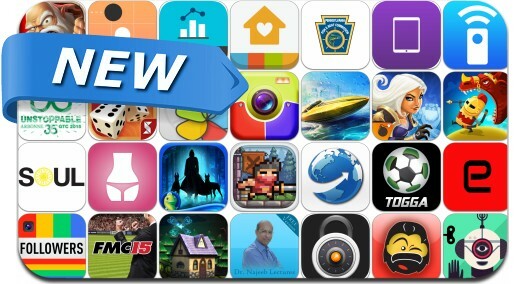 This new apps alert includes Spirit Lords, Dragon Hills, Smove, Tiltagon, Devious Dungeon 2, SoulCycle, Dragon Hills, Fantasy Soccer, BrightNest, PicMonkey, Pencilicious Doodle Message Keyboard and many others. Simple. Fast. Gorgeous. Trying to stay alive has never been this fun. Swipe up, down, left, and right to dodge your way through 10 simple yet challenging levels all while vying for the top spot by collecting the most points. Think you can Smove? Show us what you've got.